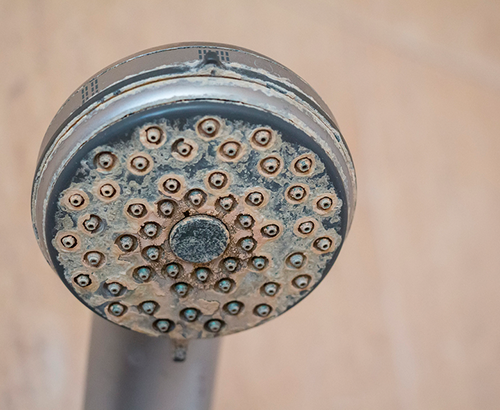 Deposits can build up on the shower fixture itself and start to lessen the flow of water during your daily showers. There are a number of maintenance procedures you can do to prolong the life of the fixture. If your shower head has a flexible rubber faucet and you’re experiencing mineral buildup in the nozzle holes, just massage the flexible rubber face with your fingers and it should loosen the mineral build up and free the water flow. If that doesn’t work, the best thing to do is to call us. You might need a new shower head, or something else might be wrong.